I do love my Dystopian Young Adult books and I absolutely love and loathe at the same time these games, because how unreal is it to see your child being picked out and being thrown into an arena with hardly no survival chances? well below I have added the books, images, links to more information and their synopsis so you can see for yourself if this book series is worth a read. I say YES! And I would also recommend to watch the films, the first 2 books are already released and both available on DVD, the 3rd book will be done in 2 films with part 1 coming out in November this year. Download here a sample Chapter. And see here the movie trailer from The Hunger Games. 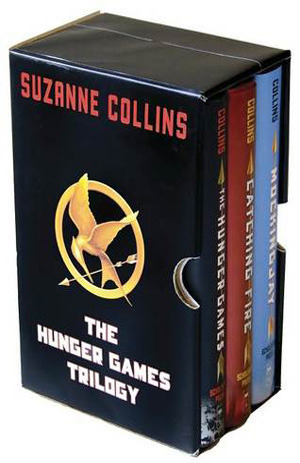 In Catching Fire, the second novel in the Hunger Games trilogy, Suzanne Collins continues the story of Katniss Everdeen, testing her more than ever before…and surprising readers at every turn. And see here the movie trailer from Catching Fire. Mockingjay Part 1 will be released in the UK cinema’s on Friday 21st November 2014. Mockingjay Part 1 will be released in the UK cinema’s on Friday 20th November 2015. I can’t tell you how much I can recommend these series! I adore them and I’m now listening to Mockingjay on Audiobook at work. Have you read these books? What do you think? Will you now read these books? Dear Charlie, i loved the movies i can only imagine the books will be even better. Nice written..i thought something like that(that katniss is just like a pylon) after seeing catching fire. So much i want to do but there’s only one of me….would love to read again soon too. Thanx for the lovely review, hugs and kisses…Mijntje. You take your time finding time to read, sometimes in life other things need to happen before you can pick it up, I know that one very well.